Most of the items I write about on my site are things in my own collection, but I’m going to make an exception for this. 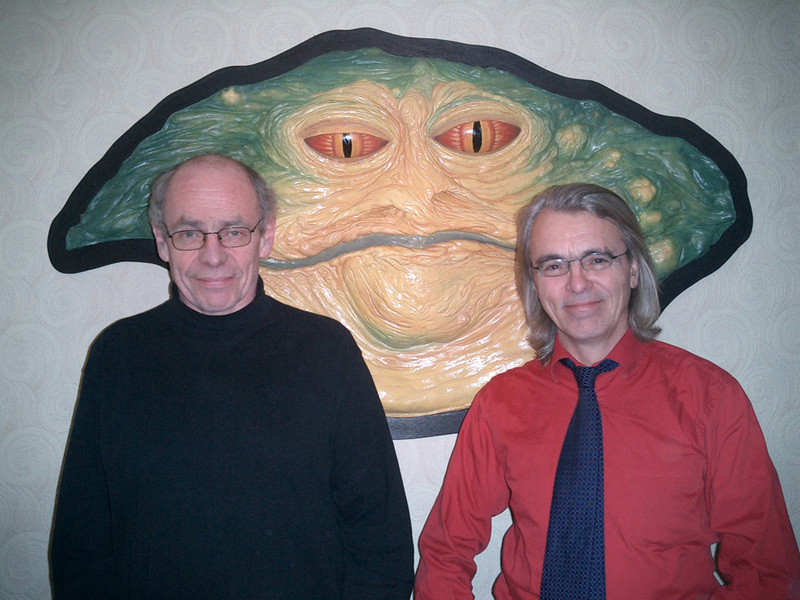 John Coppinger, who sculpted and painted the original Jabba puppet from Return of the Jedi (and operated Jabba’s eyes by remote control to boot) created this wall-hanging bust from one of the original skins created for the movie, shown below. According to John, the foam was still in remarkably good condition after more than twenty five years, and he wanted to preserve it in a more sturdy medium like fiberglass. He did an extremely limited run of these busts and sold them for a time through the Prop Store of London. They are no longer available through Prop Store, but I recently exchanged emails with John and was happy to hear that there are still a very small number of these available. They actually made two versions of the bust: a fiberglass one that was realistically painted (shown above) and another made of cold-cast aluminum, entitled “Han Solo’s Revenge.” I think I actually prefer the metal version, since it reminds me of a classical sculpture of some kind (and also has a “Jabba in Carbonite” vibe to it that I like). They are 60″ wide, 37″ tall, and 6.5″ deep.